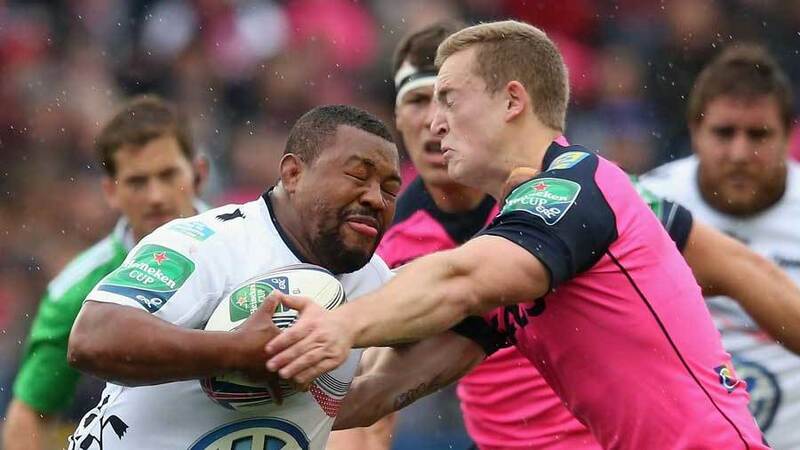 Former England international Jamie Noon has called on the Rugby Football Union to relax its policy of not picking players who are based overseas. Noon, who won 38 caps for England, has played on both sides of the Channel having run out for both Newcastle Falcons and Brive and he believes if a player is good enough to play for England, they should be picked regardless of where they are playing their rugby. "I understand the reasons why they don't want so many players nipping across the Channel, but it's not that far and I don't see why England should say you can't play for us if you're playing in a different country," Noon told the Rugby Paper. "If a player is good enough and you need him, then why not? He's not playing on the other side of the world with the time-zone difference. "I could get to Twickenham from home here [Brive] in the same time it took from Newcastle. Also, coverage of the Top 14 is so much more widespread nowadays so it's not as if you're out of sight, out of mind." England's policy to only call up overseas-based players in 'exceptional circumstances' has come under increased scrutiny following the ever-improving form of Toulon's Steffon Armitage. He was named Man of the Match for his performance in Toulon's Heineken Cup quarter-final win over Leinster and backed that up with another impressive showing against Perpignan on Saturday, a game where he also got on the scoresheet.